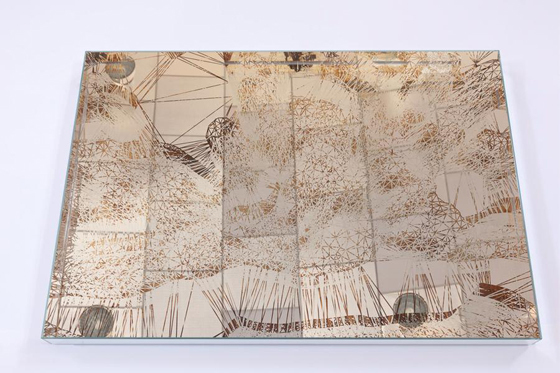 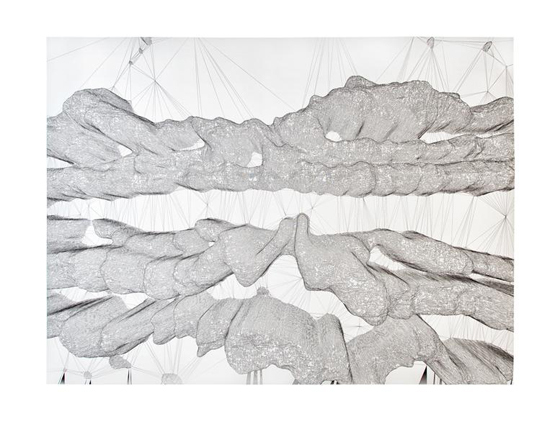 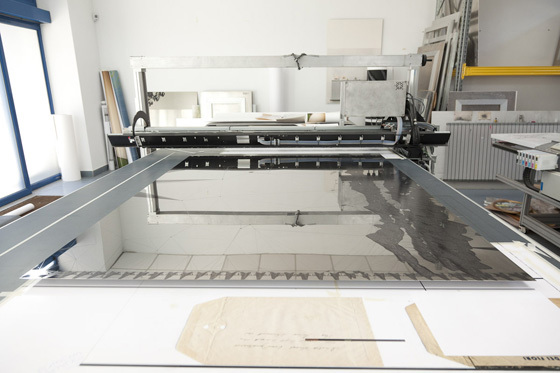 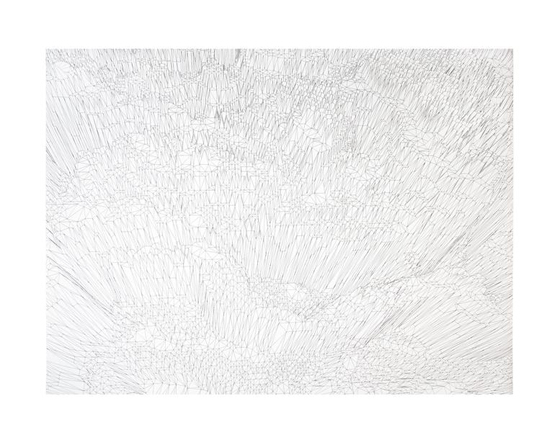 Since the beginning of 2013 Factum Arte has been working closely with Paula Crown to convert her drawings, made from a helicopter, into relief forms that convert line into volume. 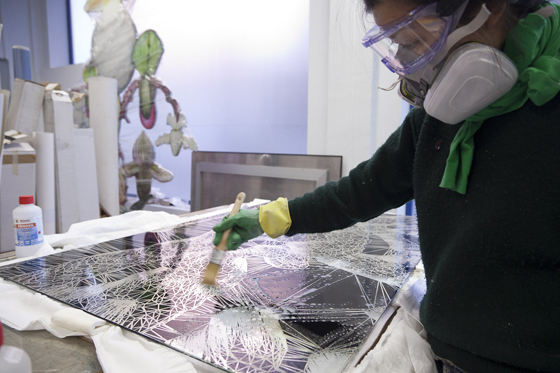 New works are in production and have involved months of research into natural binding agents and organic materials. 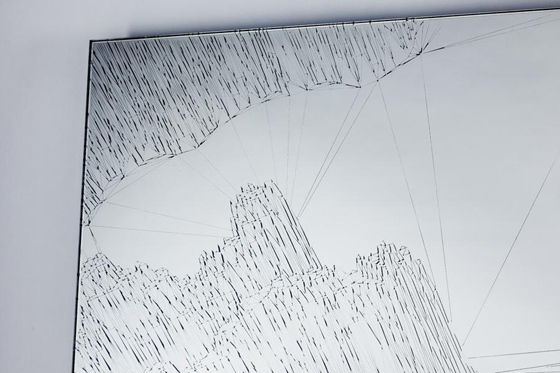 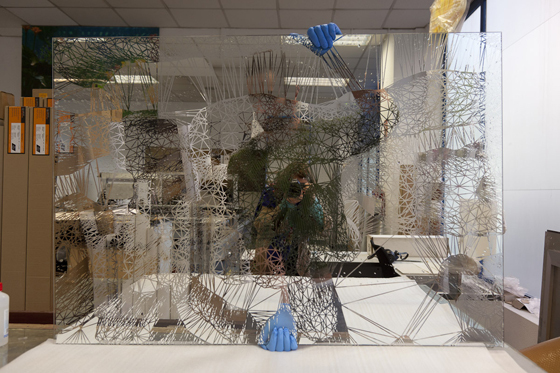 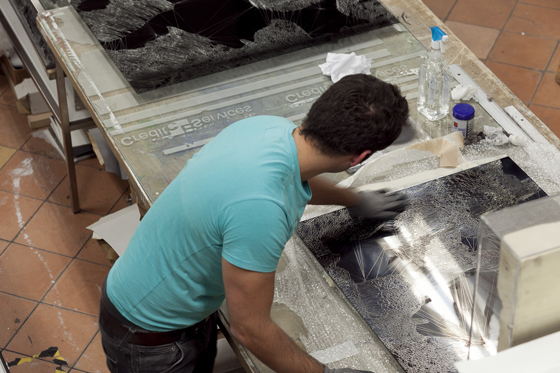 Some ambitious sculptural works are being developed alongside work with mirrors and glass. 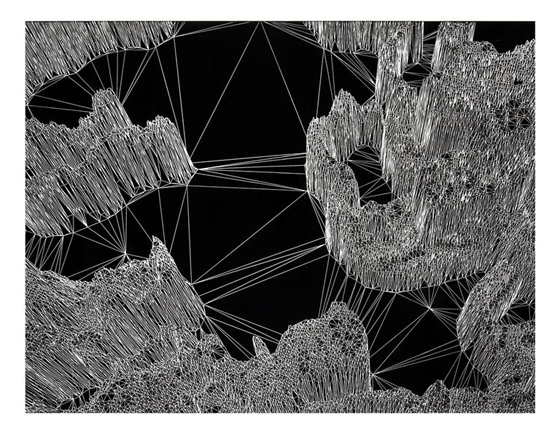 In the series of works Fractals the original drawing has been transformed and some patterns of it repeated and displayed at different scales through different techniques. 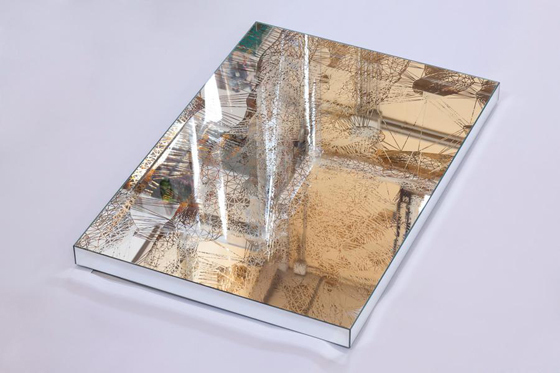 The series include: Fractal silkscreens etched on the back of a glass mirror, Fractal prints on gelatine coated mirror polished stainless steel, Fractals prints on Somerset paper and also an Infinity Mirror Box. 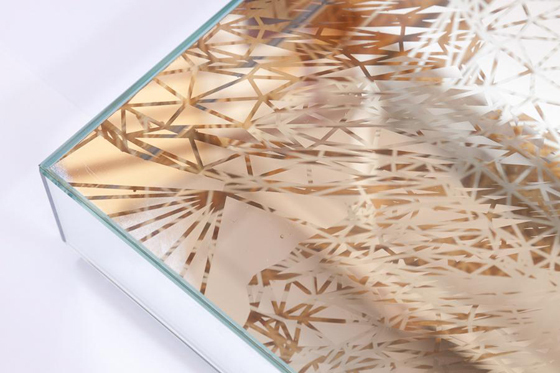 The Infinity Mirror Box is made of 6 mirror panels with fractals etched on the front panel,creating a multiplied reflection of the fractal pattern that mirrors infinitely in a caleidoscopic effect.